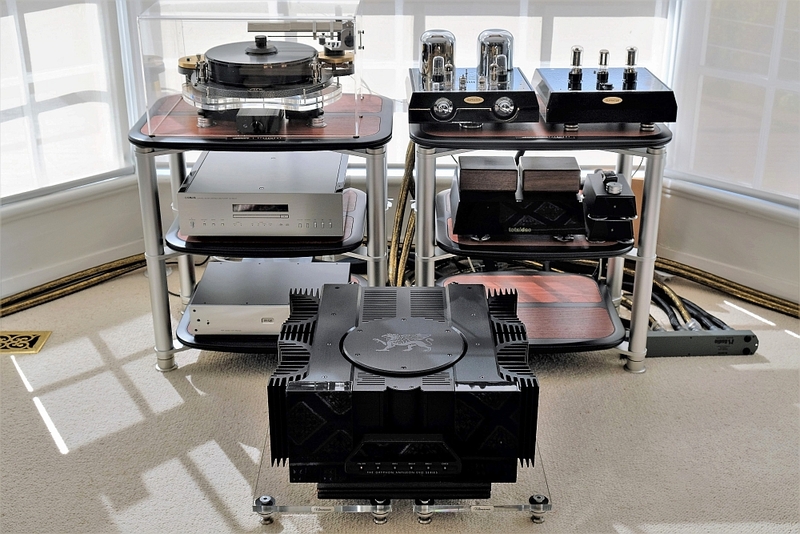 "The role of a quality Hi-Fi rack system should be to provide support and a form of isolation and/or coupling to combat vibrational distortions in order to allow the full potential of your components to shine. In the case of the new SGR Audio Model V Statement racking system, the above mandate has been met to the highest degree. The additive elements of six isolation techniques, most importantly the viscoelastic decoupling, the Corian ‘Energy Sink Isolation Pads’ inserts and the superbly solid machined aluminium supports, in my opinion, have proven themselves to provide worthwhile sonic improvements over the excellent last-gen flagship rack (and every other rack I’ve had in-house, for that matter). Sonically, of particular importance are the exactness in terms of low level detail, the gains in tonal and textural nuance and the added precision in image density and placement. The SGR Audio Model V Statement Hi-Fi racks are a winner of a design and are now staying in situ as an essential component within the context of SoundStage! Australia HQ’s reference system."